Organisation Dynamics: the capacity for understanding and influencing the ‘push and pull’ of conscious and unconscious resources in the human endeavor to collaborate on primary work tasks. Neo-classical economics is often referred to as ‘the dismal science’ because the predictions of professional economists are so often wrong; even now when they are able to make use of supercomputers and crunch more data than ever before through models comprised of many, many variables. The fundamental flaw in this approach to economics is the assumption it makes about human behavior. Namely, that humans will always make rational choices from available options to maximize self-interest; homo economicus. More recently there has been much interest, and a Nobel prize, in the emerging field of behavioural economics which attempts to explain the predictably irrational ways that humans defy neo-classical economic theory. This field relies greatly on cognitive psychology and neuroscience, tending to focus on our estimation of ‘losses and gains’ in decision choices made in the super market and the stock market. So far it has failed to espouse a consistent, unified theory of behavior because it is limited to ‘set piece’ situations within notions of market behavior and, again, the over-riding assumption of individual self-interest. The libidinal economy is not about prediction and control. It is about the future we strive for together through uncertainty, passion and vulnerability. It privileges the tension between self-interest and common-interests. 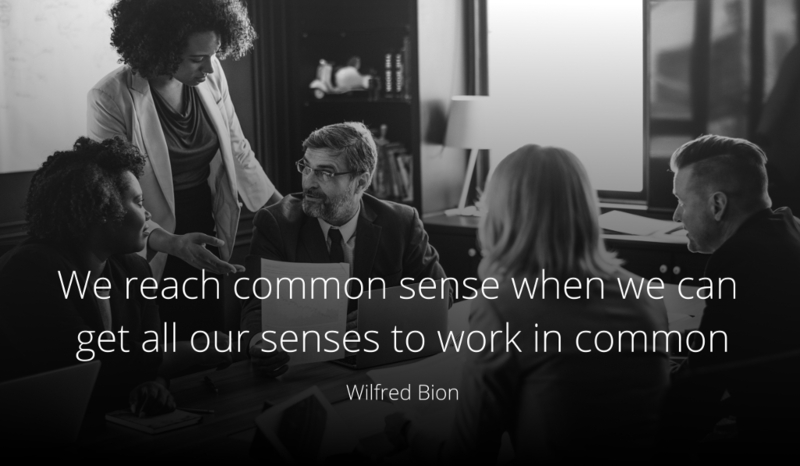 Or, as Wilfred Bion put it, we reach common sense when we can get all our senses to work in common. Understanding and managing the libidinal economy requires learning-by-acquaintance. Another term for experiential learning. You have to be in it and learn to regulate your own desire to win it. Along with everyone else you work with.